Drawn in by the potential riches to be found – but most inspired by the intrigue of the historical mystery – Drake embarks on a quest to find the lost fleet. He soon realizes that Marco Polo was hiding a much bigger secret – he had gone on a secret expedition on behalf of the emperor to find the mythical kingdom of Shambhala (otherwise known as Shangri-La) and to recover the legendary Cintamani Stone, the "wish-fulfilling jewel" of Buddhist mythology. The Stone is described by Marco Polo as a massive raw sapphire – if it truly exists, it would be worth billions of dollars today. This discovery sets Drake on a new course following Marco Polo's 700-year-old trail through a diverse range of exotic environments to find out if the lost city of Shambhala, rumoured to lie deep in the Himalayas, really exists. This quest also pits him against a new, more formidable adversary who is after the same artefact – a ruthless, rogue paramilitary leader with a private army and a relentless ambition to recover the stone for himself. 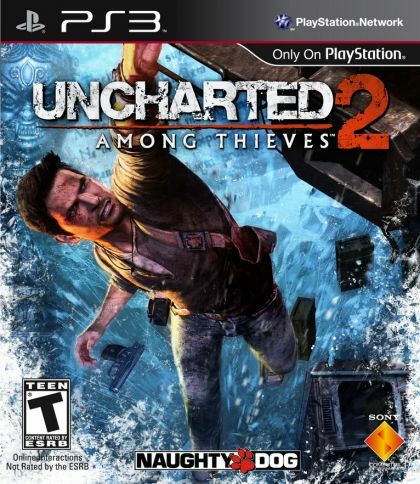 Using the Naughty Dog Engine 2.0 to blend together the art of cinema and gaming, the immersive action and storytelling is brought to life through technology only made possible on PLAYSTATION 3. Maximising the CELL processor as animation, physics, sound, and motion / audio capture combine together to enable gamers to become Nathan Drake and immerse themselves in his extraordinary story as they play. An expanded cast of characters who reflect different facets of Drake's character, including Chloe Frazer, Drake's current partner and new romantic interest. Varied and exotic locations – from lush, green swamps and dense urban environments, all the way to the ice and snow of the Himalayas. Open design allows players to take an aggressive or stealthy approach to combat. Free-flowing "traversal gunplay" adds a unique vertical element to familiar cover-based third-person shooting mechanics, allowing the player to engage in combat from any position in the environment – even while climbing and hanging. Introduction of new traversal and free-climbing mechanics allow Drake to navigate through the environments more fluidly and naturally. Gunplay and combat enhancements, including an expanded melee system, and a variety of enemy types with advanced AI routines. High-quality cinematic presentation of scenes, characters and dialogue, all rendered within the Naughty Dog Engine 2.0. Dramatic in-game events that make the player an active participant in the cinematic experience. Uses Naughty Dog Engine 2.0 purpose-built for the PLAYSTATION 3; uses PS3's technology to hit a turning point in technology innovation by recreating reality and capturing human emotion.